The Lost River Barn was turned into a rustic, comfortable getaway, with an upper loft that provides a camp-like atmosphere. It has hosted professional cyclists for training camps, and groups and families looking to enjoy hiking through the inspiring mountaintop scenery. The balance between the vast outdoors and the cozy yet spacious feeling of the barn gives you a great sense of being alone even while having others around. It’s the perfect setting to cut the cord of wifi and external chatter and connect to others and yourself in a different way. Release the stresses of your life for a few days, nourish yourself on an Appalachian mountaintop, deepen your yoga practice, sit in meditation and eat healthy and healing foods. This early fall yoga retreat in the Appalachian mountains will reset you after the summer months and before the holidays pull you forward. Be in the presence of the changing season. 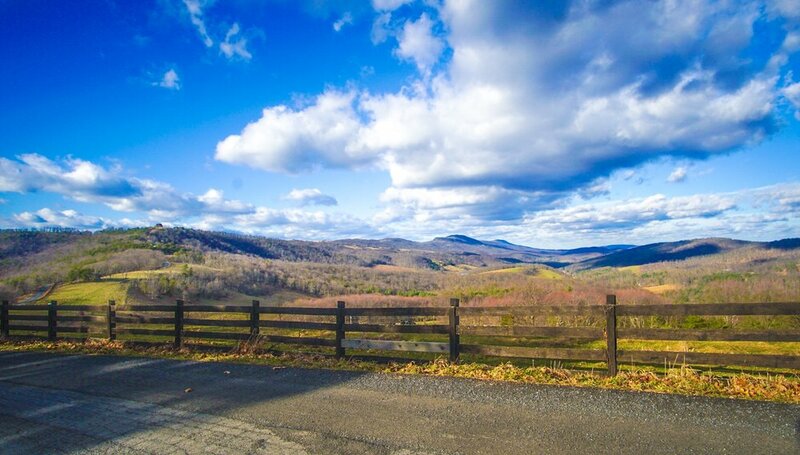 Less than three hours from DC, our home for the weekend offers fresh air, inspiring scenery, and rustic comfort. Ramble on a walk, opt for a hike, sit by the nightly fire pit with cocoa and marshmallows, ground yourself with yoga and breathing and release your grip on your phone (you’ll have to - the wifi is spotty!). 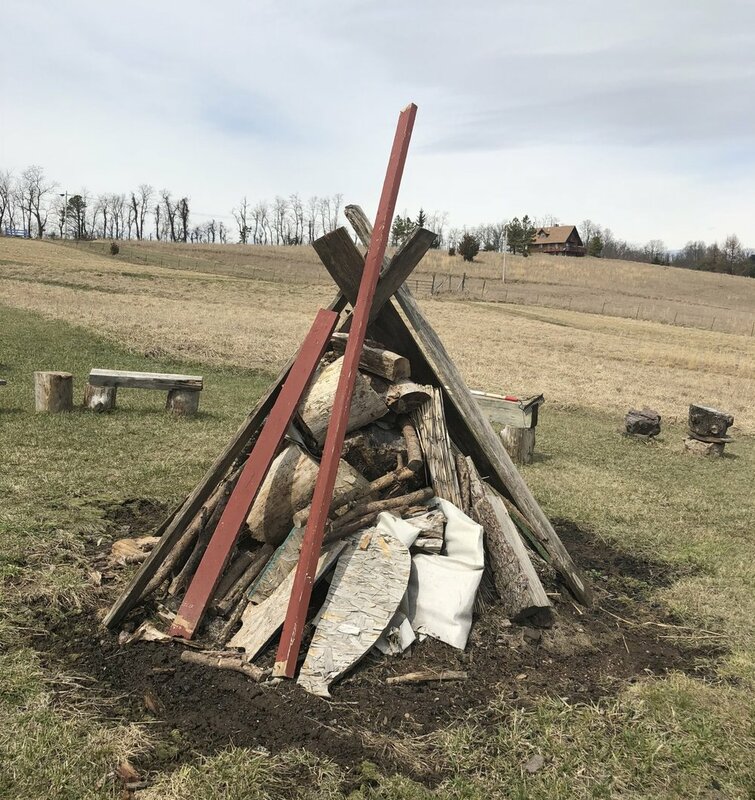 The retreat package includes 3 nights at the The Lost River Barn, yoga & meditation classes, 9 meals (vegan and veggie options only), a guided hike on a lower part of the mountain, fresh linens, coffee, tea, beer and wine and the experience of being in a yoga community. Let me know your are interested by filling this out here. There are three private bedrooms, one giant loft, and a few shared bedrooms. This makes for a cozy retreat from the city! Half payment made by August 9th and full payment made by August 23rd, 2018. If you need more time on the entire payment or help with it, just let me know and we can work something out!! Just commit and come! Space is limited so reserve your spot by making your deposit below. Please plan to arrive at The Lost River Barn between 3:30-6:45 pm on Thursday September 20th, 2018. A welcome dinner is served at 5:30 pm and the first class begins at 7 pm. Only 2.5 hours from the Beltway, the countryside of the Lost River region is especially appealing to those who love the outdoors: hikers, cyclists, yogis, or anyone who just wants to get away from the city. The Lost River Barn is in a meadow at 2,735 feet above sea level. The barn was built in the 30’s and was at one point part of a cattle farm. If you’ll be driving and are willing to take other passengers, or if you’re seeking a ride, please let me know--it may be possible to match people up for carpools. *Please bring a yoga mat and any props you like to use in practice (such as a block or strap). **All participant information must be complete in the below retreat registration and waiver. Please fill it out in its entirety after reading the terms. (a) Your booking is not considered definite and no contract will exist until I receive a 50% (roughly $200) deposit from you and you agree to these terms and conditions. (b) We do not share customer details with any 3rd parties. (b) The full payment amount is due on or before the first day of the retreat by check/PayPal/Venmo/cash in person. (a) It is your responsibility to let your me know if you have any injuries and to be mindful at all times of your own body’s capability during the retreat. If you experience any injury or discomfort during any activity during the retreat, then you must desist immediately. (c) Please advise me of any mental or physical health conditions and dietary requirements before you book. If you have health conditions and dietary requirements (please fill out this form for any dietary restrictions or anything else I need to know about) that may be affected by the activities offered on our retreats we reserve the right to advise you to desist and in the interests of your wellbeing, or others, we may decline your stay at our retreats. (d) Whilst all measures are taken to ensure a high standard of health and safety, the retreat is situated in the countryside where the land is uneven and I shall not be responsible for any injuries caused by uneven terrain. (e) Women who are 12 to 28 weeks pregnant should provide a letter from their health practitioner specifying that they are fit to travel and able to engage in the activities that we provide. I would prefer pregnant women to have done a little yoga before they arrive. (a) You (or any member of your party) may cancel your booking at any time, providing that the cancellation is made by the person submitting the booking form and is notified to me in writing. Cancellation will take effect the day such notification is received by me. If such cancellation is made within less than 30 days before the start of the retreat, I will retain the deposit of the retreat. However, if another person can be found to take your place, then we may offer you a refund at my discretion. Occasionally, changes may have to be made (e.g., class times or other arrangements), which I reserve the right to do at any time. If your accommodation has to be changed, I will do my utmost to provide accommodation of a similar rating. If a significant change becomes necessary, I will inform you as soon as reasonably possible if there is time before your departure. I reserve the right in any circumstances to cancel a retreat. In particular my retreats require a minimum number of at least 75% of the participants to have booked by 30 days before the start date. If this minimum number is not reached by that date I may cancel and refund the money to you. (a) I accept responsibility for ensuring that the retreats are supplied as described and that the services we are contractually obliged to provide are to a reasonable standard. (b) I do not accept any liability for cancellations, delays or changes caused by war, threat of war, terrorist actions or threats, closure of airports, civil strife, industrial action, natural disaster, technical problems to transport, staff cancellations, unforeseen changes in your personal circumstances or other events beyond our control. (c) I am not liable for any injuries you may incur. Yoga classes are undertaken at your own risk. I are not liable for any medical or psychiatric conditions, which may develop during or subsequent to the retreat. I am not liable for loss of, or damage to, your personal property. If you have a problem during your retreat, please inform the me immediately and I will endeavor to put things right. Please note that I cannot be responsible for the individual behavior of any group member or other guest sharing your accommodation. I, for good and valuable consideration, the receipt of which is hereby acknowledged, hereby irrevocably authorize Jessica Sandhu to use photographs of me and or my property and authorize her and her assignees, licensees, legal representatives and transferees to use and publish (with or without my name) photographs, pictures, portraits or images in any and all forms and media and in all manners including composite images or distorted representations, and the purposes of publicity, illustration, commercial art, advertising, publishing, for any product or services, or other lawful uses as may be determined by the photographer or studio name here. I further waive any and all rights to review or approve any uses of the images, any written copy or finished product. I am of full legal age and have read and fully understand the terms of this release. Minors must have legal guardian's consent. Refunds up to one month prior to retreat will be honored if you find a participant to take your place in the retreat or if there is a wait list and your spot can be filled, then reimbursement may be possible. After August 23rd no refunds will be made. See you at yoga camp!